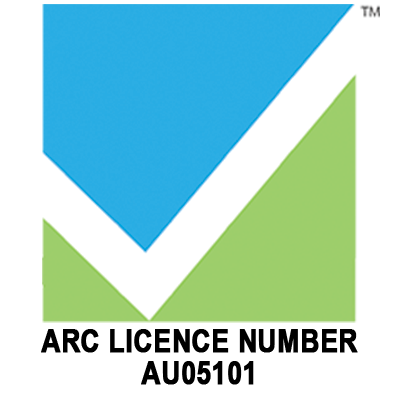 If your air conditioner does not feel to be working as effectively as it used to be then it may be time to have the system checked over and serviced. Andrews High Tech is an authorised service centre for automotive air conditioning servicing. We perform a whole range of air conditioning repairs from simple services to major system repairs that require the complete strip out of the vehicle interior to access the failed component. When it comes to the modern motor vehicle, the climate control systems can be very complex and having the correct diagnostic equipment is vital to deliver a satisfactory repair in a timely manner. Andrews High Tech has invested in the right equipment to ensure that you get value for money when tracking down your air conditioner problems. 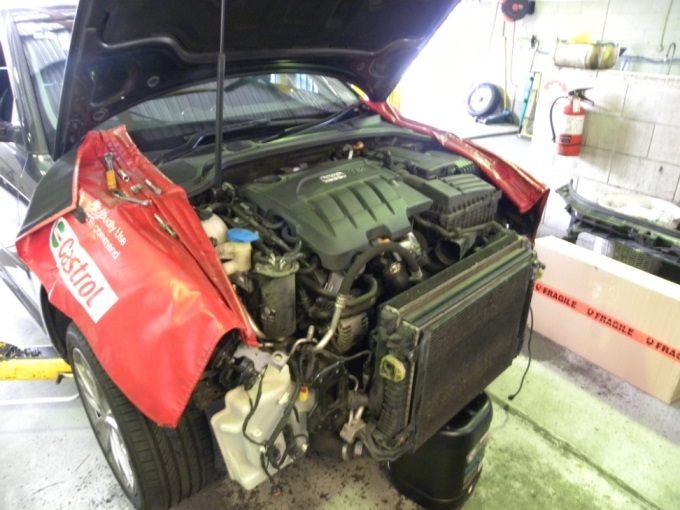 An Audi being prepared in our workshop to have failed air conditioner components replaced. 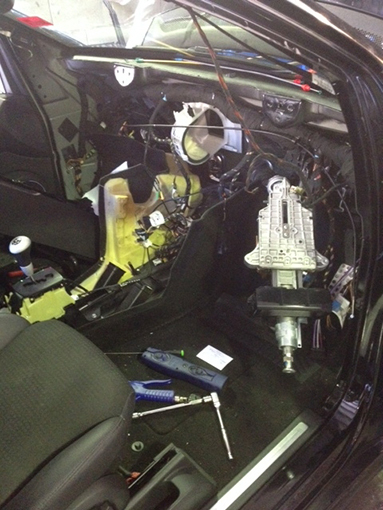 Photo above is of a Mercedes Benz B Class in our workshop having a leaking air conditioner evaporator replaced. This repair required the complete removal of the dash assembly and surrounding interior.